Samsung Galaxy S2 has 16gb of internal storage out of which 14gb space is available, but not the entire available capacity is usable for apps installation. Unlike modern smartphones like Galaxy S4, our galaxy s2 has two internal partition, known as Device Memory(about 2gb) and USB Storage(the rest i.e. about 12gb). Device memory is the location where apps are usually installed. USB Storage is the location where data (apps data like those of games), user files are stored. So, even though you might have lots of internal storage space available, you might face storage issues during apps installation because you’ve just about 2gb available for apps. In this tutorial, we’ll see how we can increase device memory partition and decrease usb storage partition to accommodate as many apps as we want on our beloved Galaxy s2 smartphone. This tutorial is only for Samsung Galaxy S2 (GT-I9100) model only. GO to phone > Settings > Storage. Check your available internal storage space. Download ODIN 1..85 program from here. Download Partition files from here. Backup all contents of your android phone including pictures, music, videos as this process will completely format your mobile. Extract the downloaded zip files. Put your phone into download mode by turning mobile off, then press volume down+home+power buttons together for few seconds. Press volume up key when prompted on the phone screen to continue in download mode. Connect your phone to computer. You’ll see one of the rectangular boxes in ODIN turned yellow indicating that the program has detected your phone. Hit on PDA button and select Philz CWM Recovery file. Hit on Start button. Once you see the message “PASS”. The process is completed, you can unplug your phone from computer. Now, go to phone storage settings and check if the device memory has increased and usb storage space adjusted accordingly. You may be required to format usb storage before it is shown in storage setting. If the new storage setting is still not visible on your phone, then do factory reset either from recovery (volume up+home+power keys together in phone off state) or from phone settings (Setting > Backup and Reset > Factory reset). If storage is still not increased, flash stock Samsung firmware or custom ROM for your phone. Go to phone setting > Storage and then select format usb storage option. If this doesn’t help, reply with screenshot of storage setting. Hi, I just try to Format with 6GB using Odin Software, it is PASSED, But the Device memory still displaying 1.97GB and my USB Storage changed to 7.15 GB only. Please let me know what should I Do? Thanks for the above steps on how to increase memory on the S2. Please note i have a problem here because i can’t download the file ” Philz CWM6 Recovery” for Galaxy S2. Could tyou please assist either send me the file or what should i do please? I did exactly as mentioned above. I chose 6gb pit file and the apps storage increased perfectly to 5.91gb. But my other partition (usb storage) is shown as corrupted and i cant format it (it shows some kind of error). I did a factory reset too. same problrm with my phone 2 did u find any solution for it then please let me know..
– replied with storage settings. Can you please advice me on how to Setup this Connection as I do not understand what exactly should be done. I use USB cable connection with my PC and I have Win7 running on my laptop. Yes, I saw my phone connected and a yellow color in ODIN on Thursday. Something strange, because I do not see any color today, but my laptop and the phone pop-up a notification on successful connection. Continue step of the Phone Screen. Plug in the USB cable > You will notice ODIN recognize it by Yellow filled square . I tried everything as you mentioned but my process stopped at SetupConnection.. Please guide me how to proceed further. There is nothing happening in the phone as well. Hi can you advise on changing my mobile to download mode? Saurabh could u please reply…. How much is your system memory now? the same happened here with me the device memory is still the same 1.97 GB and the USB storage reduced to be 7.51GB !! i dont know what to do ??!! As instructed in the last two steps, you need to factory reset your device..
this worked very nice thanks , but i want to ask u if i can increase the Ram ?! , i heard that i can with an external SD card , is that possible ? Follow the guide again.. I’ve updated. Same issue as Red and Raj. Opted for 6GB internal storage. My USB storage was then reduced by 4GB (I assume to add to the 2GB already in internal storage and make it 6) but no increase to internal storage, still at 1.97. How do I get that 4GB added to internal storage? Flash your firmware or ROM again.. For some users, after completing the given steps and flashing android firmware again (stock Samsung or custom ROM) solves the issue.. Same issue here. How am I suppose to flash my firmware or ROM again? Can i please know whether i can follow the same procedure for my at&t galaxy s2 ?????? Using the pit files above ???? I’ve not tried and I can’t say.. It’s risky..
Do you have exactly the same total storage capacity, system memory storage as the international version of galaxy s2? Hi Saurabh.. I did all the steps as mentioned in your video. My phone was detected and I saw the yellow color box. But when I clicked on PDA I could not find the Philz file in the downloads. Did you download the philz file? You should look into the directory where you downloaded the concerned file. At first I got a shock, but after rebooting in recovery mode, CWM was updated from 6.0.4.5 to 6.0.4.7 and after booting in CM11 the partitions were changed. After a new installation of CM its all working with the new parameters. Oh, I just see that you forgot to mention in your article that when connecting the phone to flash with odin, you must be in Download-mode (Volume DOWN, PWR + HOME-Screen), not recovery-mode nor normal boot. Thanks for pointing.. Updated the article accordingly..
firstly thanks it works for samasung s2. if u have facing this error just turn of your and press volume down + on/off+ home button same time. than you screen will pop up with warning message mention something about external OS system download. don’t get panic just hit OK.
than it will go to downloading mode and display message don’t turn of the device or similar like this. it take little time like 15-20min. note:- leave your phone connected to Odin software all the time. than u will end up with pass message. and after that screen will popup with memory format option. just hit OK ,you will get your result. if you don’t find result and it shows yellow sign after reboot than follow second ans. que2:- related memory decreased but not increased in device memory? ans:- just simply do factory reset of your phone. a complete format. settings-backup and reset-factory data reset. than check your device memory. Very much appreciated comment! Helpful for other readers! after this i still got yellow sign. i just turn off my phone till from it is hanged on start up screen. even i take battery out several time but still same problem. actually i have Samsung s2 GT-I9100T now it is showing me GT-I9100 on boot screen. but not going further. can you help me in this. me too. can you tell me why sir ? yes me too. how to fix this? hi, i just follow your instruction, my device memory its still the same 1.97gb but usb storage decrease into 7.51gb. can you help me ? Well, I followed your instructions, chose the 4 GB pit and now my total storage has dropped by 4 GB and the App Storage has remained the same, i.e. of 2 GB. Since last year, I wanted to know how to do this! Thank you very much. I followed your instructions and it works perfectly, just as you have shown. This is a simple and effective way to increase space for internal apps storage. The advice and feedback from other users was also very useful. However, a note of advice to all attempting this – it is critical that you take a BACKUP of your system to your micro-SD card using existing Recovery (CWM) module on your S2 prior to commencing this process. My S2 was operating on a custom ROM (Resurrection Remix) and I was unable to start/boot after I had disconnected from Odin after this procedure. So I went into Recovery Mode (the PhilZ touch Recovery flashed using Odin) and did a Restore followed by a Reboot. Then the system re-booted normally and I found I was at the stage where I was not able to see the reduced internal storage. After another re-boot, the phone indicated that it had found ‘Blank’ storage (exactly as per the Video) and suggested a format. After this I was able to see my S2 storage clearly. The above may only be relevant to custom ROM users. i did same thing as you said it said failed and my phone is not turn on back is it dead now? I did every thing as you mention and odin message become pass. after rebooting my s2 dont restart and black screen only . then i try to go recovery mode i dont find my recovery menu on my s2. can you guide me solution for this. i can go still in download mode. what do u mean by flash official stock firmware…. i did all the needed steps the usb has gone down but the system storage is yet to go up is still at 1.97. I have tried to increase my internal size of my S2 to 6GB and followed all the steps listed in the notes several times but it gets stuck at setup connection and then fails on “can’t open serial com port”. I have been in download mode on my phone and it still fails. What am I to do now? Saurabh, I want to thank you for this useful guide, search a lot of sites but none showed these method. It worked perfectly for me (after i did a hard Reset), then saw the new space. The Client was soooo happy that memory problem has been resolved. Hope you don’t mind if i document the process on my blog – credits to you. Just as a precaution, you should warn users that the process can potentionally cause phone not to boot. could you please show me the steps to take to do the hard reset since i’ve re partitioned but am now stuck with the yellow triangle and can’t get into the recovery mode(volume up+home button+power button). I followed all the steps … but after I clicked on start the green color didn’t appear nor the message ( Pass ) …. I wonder what the problem is ? only these messages appeared …can you help me please ? app memory increased to 6gb but internal memory is not showing.. I have tried to change my galaxy to 6gb storage but only goes as far as the setup connection and then came up failed. Now I have followed the steps to the letter and put my phone into download mode and still does not work. Can you help. Make sure ODIN program detects your phone.. WHen you connect your phone to computer, ODIN program should show “Added” message in its log window. I have been able to change my galaxy S2 to 6gb. I needed to turn on USB debugging to do it. But now I have to Flash my firmware or ROM. But how do now do that. Ensure that Samsung usb drivers are installed on your systyem. Thanks for the share. I’m using CM10.1 and did the steps above. My phone did not boot after the partition don’t know why so i just recover my saved data and it did the trick. I need to reboot twice to see the other internal storage. Btw, please indicate in Odin for user to checked this option “re-partition” then un-check “f. reset time”. By default they have a different settings. Some reader may not look into it and just start partition. Is it working on unroot GT9100G? Will this method work for galaxy note n7000? I have a problem changing the partition. I made it on 6gb, but now I want to change it to 4 GB but it’s not possible. Every time I made it the phone want a security memory password. Please help. hello, can you help me please. I’ve done but now i want to change from use file PIT 6GB to file 8GB and how can i do that ? Hi, at the end of the procedure ODIN shows me “FAIL!” in the first empty big rectangle and gives me the message “Can’t open the serial (COM) port.” In the yellow little rectangle there’s written “0:[COM5]. How can a manage this? Thank you. Hey, great tutorial! Will this work on a Samsung Galaxy2 SGH-T989? Your walk through has been fantastic Saurabh, many thanks for sharing this with the community! my phone is not restating after compeletion of process successfully..
Did you try factory reset from recovery? You can flash official stock samsung firmware from download mode via odin program. Did you fix it? I have the same problem. Hi, I was wondering if you have fixed your problem? I am stuck in the same situation and am in desperate need of a solution! Cheers. All worked a lot simpler and quicker than I was expecting. I did have to do a factory rest to get it to recognize all the right sizes, but all good. I already did it. The result my phone wont start. If there any solution? Thanks. This tut is for I9100 only.. If you can get to recovery or download mode, flash stock firmware on your mobile. if i flash to the stock firmware or rom will the internal memory still stay or will it be restored to default memory settings? Thank you, my phone just got an extended lifetime! I needed to restore to factory default for the new size to show up, but now everything works fine. Is it possible to just use ALL internal memory for apps and put any other data on the external micro-SD? Or at least have a 12 GB PIT file (not just the current biggest 8 GB one)? Is there any guide to “cook” those PIT files? Saurabh, quality instructions! Worked a charm! but , hey it is normal after I do this job to appear a yellow triangle logo when i start the phone? Hey I did everything as told but don’t see the pass coming thru after clicking start.. what do I do now? Thank you my friend it swork for me…thanks a lot god bless you dear,…..
Is this PIT file works for Galaxy S2 GT I9100 G also… If not can you please upload for 9100G as well. Can i need my phone to Root before doing this? i put my phone into download mode.. but umfortunately my Odin 1.85 doesnt detect my phone even i waited over a half and hour patiently.. i turned on debugging mode, bt odin doesnt detect.. and also tried to turn off debugging mode, bt result is same.. Saurabh , pls help me.. what will i do?? Hey at first i got everything done except that my device memory remained the same, the rest of my SD card was unusable and i wasn’t asked to and couldn’t get my SD card to format. Now the solution i found was once everything is passed an extra final step is required. and it worked now memory is 9.50 and system storage is 3.97GB. Thanks both of u guys Saurabh Kumar and Ivan. . Thanks for this process. It took a while to work it out but I was successful in the end. Great work! Thanks! worked great… finally a solution I have been looking for. Thanks for sharing. I did all the steps, the usb storage has gone down but the system storage is not yet to go up. It is still at 1.97. You need to do a factory reste of the device for it to work. Go to back up and reset and choose factory data reset. This should work as it did for me. same problem occurred with me memory decreased system storage is same. .
After that do this step. I did this approach and it worked just fine. Thanks man for the direction. I choose the 8GB partition which is now 7.87 GNB and now I have 6.12 GB remaining available space. How much is left for the rest of my videos, pics, and assorted stuff? Will the remaining amount be enough for my videos and pics? IT WORKS TOTALLY PERFECT. I WAS ABOUT TO SEND THE PHONE TO A FAREWELL PARTY AND GO FOR A RECENT MODEL, BUT YOU SAVED THE DAY BY TEACHING ME HOW TO MAKE USE OF THE THEN USELESS USB STORAGE WHICH IS SHARED NOW TO DONATE SOME GREAT CONTRIBUTION TO THE DEVICE MEMORY…. NOW 6GB. I have made my mobile in Download mode and connected to laptop after launching the app but there is no yellow or any other kind of colours diplaying in any of the boxes………………….. If I do this procedure, what happens when I wipe/flash a new custom or stock ROM? Does this new partitioning scheme survive or not? Also, is the new partitioning scheme saved within a nandroid (CWM) backup or not? Or is it something that exists “outside” this? Sorry if these are stupid questions. I am using Galaxy SII with Arabic edition. Does this procedure change my android to the English version only or It does not affect the language of my device? I’ve done all the steps now my S2 have 6GB for App and 6Gb for Data. I’ve a major problem now: All Apps can’t access storage on external SD card, for example gallery does not opens, or camera, same behaviour. I did it with my Samsung t mobile version and it didn’t work and it was stuck in download mode thing and i got scared and too out the battery and now my phone won’t even turn on! :( I’m so scared and its like my first actual good phone. when i connect it to the computer its is there but when it won’t turn on. i have all files backed up by Samsung kies but my phone won’t work so back up won’t work.It was rooted and had titanium back up if any help. PLZZ MAKE A VIDEO ABOUT IT! my phone and computer does not show the yellow button what can be the problem????? Brother i followed same steps but it decrease my internal memory from 11.50 to 9.51 as i selected 4GB partition and also when i restart my phone it shows yellow traingle. . help what should i do now. . Hi..I already change the phone to download mode, but after I connect to the PC with cable, the yellow indicator did not appear..so, I cannot proceed to the next step. how to solve it? I have taken all the steps and everything went as you have explained, however in my phone’s storage the device memory is still 1.97 gb and usb storage has got reduced by 6 gb and is now 7.51 gb. I am just concerned where that 6gb has gone? I wanted to add that 6gb to the device memory. However if I have messed up something kindly let me know what shall I do to get things recovered to normal? Also when I turn on the phone now, I see ! mark in yellow triangle while booting. You need to format your phone i.e. factory reset for the changes to be visible..
yellow triangle during boot is normal for rooted device or device with custom mods/recovery, etc. Is there any possibility to make it full 16 gb of internal storage? Can I use this on my Galaxy 2 I727R? it worked gr8…thx a ton. that yellow triangle is also fine..i can live with it. but i need to know whether i can update my android version as it shows 4.1.2 and when try to update. it says: the system updates have already been installed.. It worked for me. Many thanks. on S2 I9000 Installed CM 4.4.4 unfortunately there is issue with the SDcard recognition/I tried with 2 different cards and same error..
Will this increase my /system partition? I need to flash the new GApps from 20140606 but it doesn’t fit in the current 503.4MB /system partition of the GT-I9100. I would like to increase it as much as possible, to be honest I don’t care much about the internal memory as I have a 32GB SD card. I can put everything there. for have a problem same with me, reset factory your device, the way sucesful.. congratulation. thank u sir. now my devices have a intrnal storage 6 gb. hi sir, is this going to work eventhough i already have siyah on my s2 and running 4.2? I already pass all the process. But after reboot, my handset not booting. It just flash Samsung with caution mark, and the handset turning off..
8GB successfully applied :). Thanks a million! i did it all , have the 6GB one aplly but now my intrnal SD is missing ? no USB storage ? nothing ? did a factory reset , and installed a custom rom new but still no luck . Thanks very much it worked for me. But you need to re-flash your ROM afterward and this should be added to the instructions to ensure that people transfer their rom.zip to the SD card and them flash it. Galaxy S2, running Android 4.2.2.
i followed all the steps and it said failed, i have an s2x t989d and now my phone won’t turn on, wont go into download or wont go into recovery. There was no mention about model type until i read thru the comments after it didn’t work. is my phone completely dead now? Hi,can this method be used with other phones apart from the S2? i followed each step you have mentioned but odin showed a failed msg , i tried to repeat the steps but it said in the msg box : SetupConnection.. I experienced same problem. Google chrome blocks it. Please disable your computer’s antivirus and firewall and download in another browser like Mozilla firefox. Hope that helps! Works like a charm. Very simple and clear steps, explained in a neat manner. No hiccups at all. The memory increased after a factory reset as mentioned in the last step. Thanks a ton and keep up the good work! Did you follow the last two steps? Can you plese send me this file which I am not able to download. I followed the instructions and it all got well , but when i unplug the phone and open it , it didnt open , always stuck on “Samsung Galaxy sII Gt-i91100G” screen!! Help ? if u have found the solution plz let me know plz. Hello sir, I have same problem on my GT-N7000 (Samsung Galaxy Note 1). The step you recommended was very good. I would like to find out can my Note 1 be able to do so and where can i download the odin, cwm? Thanks Saurabh, it worked beautifully but 2 important points: (i) when clicking on the Philz CWM recovery file above users have to be careful not to download iLivid, the link to Philz is below! and (ii) I had to perform a factory reset, when the phone restarted though I had 0kb for USB storage, however if you drop down the notification from the top of the phone there is a message to format the USB storage, format it and everything is there. BEAUTIFUL! I tried this method to increase my system storage to 6GB and according to ODIN everything worked. However, when i try to turn my phone on, I only get the Samsung logo and then black screen. The phone won’t start. When I connect it to the PC I cannot see the phone under “My Computer” but ODIN can detect my phone. When I try to go to download mode, I get only to something called “ODIN mode” and I’m not able to do anything in that menu. Also, it seems like my phone can be charged only through a USB cable connected to a PC but not through the charger. I tried to reset (soft and hard) but nothing works for me. Could you please help me with this situation? I welcome any suggestions and replies to my comment! I’ve do it with 4 GB file, can I do it again with 6 GB file ? This is GREAT and my long pending issue is now solved ! However, my office email no more works on this (GT-I9100) as it detects a custom OS on the phone. Is it possible to have increased partition with Samsung official OS? Yes, you can install Samsung official os as well. Please help me with the link to download Samsung official OS release and also the procedure to be followed. I have seen your video on how to increase the internal storage for samsung galaxy s2 and I have downloaded all the required files and i have connected my phone to computer and started following the steps but in ODin my phone is not getting connected. Kindly suggest what needs to be done. hello, I have a Galaxy Note and made formatting with Partition Files, but I can not operate the telephone network. Any suggestions? i followed all the steps, even it was successful, but my fone doesn’t turn on,, it just shows galaxy logo and triangular yellow sign. please help if u have any solution for this ? tnx in advance. tnx for rply… if u can anything ? like how can i fix my fone ? Thx a lot for this great tutorial! I thought the days were gone for my GT-I9100, but now I have no more nagging about low memory! Great! Big disadvantage of great phone is with this removed. Only 2Gb out of 16 and the phone was useless before. You have explained everything very good, and process was fast, easy and successful. Now I can use this nice phone further. Now my phone suffer of random reboot. Any other have experienced this symptom? Sorry sir. Nevermind my comment! I was able to successfully update my phone. Thanks for the directions. Really helpful! you are the only people who could help me with this. Worked fine thanks, just persevere follow all the steps and read through carefully. WOW! Amazing! Worked like a charm… Thanxxx a lott bro for the effort you put into.. Really Appreciate it!! That’s some really nice work you have done. I checked on your youtube page for any video to achieve the same result for Galaxy Note (i.e. to increase the internal memory of Galaxy Note N7000 beyond 2 gb just like you have shown here for S2). However I could not find any content for my case. Could you please help me to increase my internal memory for my Note N7000? I tried to format the internal memory with 6GB and it passed. But my phone is not booting up. Its stuck on initial screen of Galaxy S2 and stays there …Please let me know how to resolve this issue..
Hey SAURABH, thank you, it is working. All you have to do is to follow the instructions. i Have one question: now when I’m starting the phone, a yellow triangle with an exclamation point is showing. What is this? How can I remove this exclamation point? I have galaxy S2 T989 (T-mobile). Can I use the same software and procedure as your video shown? I succesfully increased memory upto 6GB following your instructions. When I check the memory, everything seems OK. However, S2 still is not able to use more than 2GB for applications. What could be the problem? Works perfect, must wipe cache/dalvik. Thanks !!!! Now i have 8 GB for aplication , super ! Im happy. WIll this work on a S2Plus (GT-i9105) aswell? Great guide! Followed all the steps – I needed to do a factory reset before the data re-allocation showed properly. Thank you! Hi, under PDA-when I browse for PhilZ-cwm6-XWLSZ-OJC-5.15.9.tar.md5, in the location folder, this file is not visible.. only 4gb and odin file is visible. but i wanna ask if im available to hv 8gb internal storage through installing dat zip(4gb_6gb_8gb…) u asked to download in the CWM recovery mode? I have the exact same problem as Garima Bagga above, and when I search in directory and finally find the file I get following message in Odin: PhilZ-cwm6-XWLSZ-OJC-5.15.9.tar.md5 is invalid. How can it be invalid? Why the would anyone go thru the trouble to get a few more gb. Samsung should do it for us why do we have partition in the first place if we cant use but 2gb. So does anyone know if S3 allows you to use full device internal memory? ???? i also have the same problem. did you solve this already? first of all thanks for the great tutorial. but there is a little prob ..
my usb storage was 25 giga.. now it’s 7 giga only!. is there a way to get the rest of the memory back ? I tried this method, almost bricked my phone with philz recovery method. Then used my already backed up nandroid backup to restore phone. Tried again with siyah kernal and speedmod kernel.. phone asked to format the internal usb. formatted successfully, rebooted.. whooola… works 100% spent 6-7 hours though.. but victory came in the end.. no complaints… thank you…. The links say that page not found, can you please help with the zips. The links are working fine… try again..
Nice. finaly i did it :D all you need to do is in the beggining make factory reset, and then fallow instroctions. sir,,if the samsung galaxy s2 model:gt i9100t is it works?? can i overclock my phone after re-partitioning…..without loosing out on re-partitioned space…?? Hi! I did everything from the instructions you have provided. After i did the hard reset i got the 6gb of device memory but the supposedly remaining 6gb of usb storage is gone. Please help me. I also flashed my rom and even changed it but nothing happens. Just dont mind my previous comment. i found a way to fix my problem. what i did is just enter recovery mode then select mounts and storage if im not mistaken then i selected mound sd card then plugged it to my pc. a non formatted partition will show alongside the sdcard0. format it and reboot. your usb storage will now be available. I rooted my phone, applied the partition and then formatted the USB Storage. That didn’t work so I followed the advice and performed a factory reset, which bricked my phone. I then flashed a stock Samsung kernel and after yet another factory reset, my phone started working. It’s now un-rooted with stock firmware, completely wiped but the partition stuck. I have repartitioned the internal storage and got the space. when my internal memory usage reaches 2GB then frequently my phone is getting restarted. 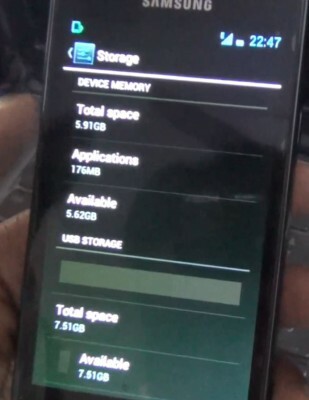 In storage it does show 6GB but when the usage reaches 2GB the phone behaves abnormally. Has anyone faced this issue? hope to hear from you soon!!! Thanks!!! was the file downloaded broken? ?? I am afraid of the file called PhilZ-cwm6-XWLSZ-OJC-5.15.9.tar ,Is it the sourse??? I have got latest CM11 installed. What does repartition procedure look like for me? I want to go back to stock storage setting please ! In that case, install any compatible firmware alongwith the partition file. I’ve did the same but the total memory is turned to 7+Gb but unfortunately the Device memory is at still capacity of 1.97 Gb. Would you please help me. Also if you have any link for Kitkat 4.4.2 please send me. read the last two steps.. But while downloading Philz CWM Recovery for Galaxy S2 i have got only PhilZ-cwm6-XWLSZ-OJC-5.15.9.tar.md5 which is displayed as application and not as a TAR or anyother format in which i can select that for PDA file should i rename this after downloading or what must i do ?? This is just what I need, but I wish more tutorials like this would use Heimdall instead of Odin: Heimdall is open source and cross-platform, and under active development (bugfixes, stability) whereas Odin is closed, leaked from Samsung, not maintained or developed, and apparently unstable. Worst of all, Odin is Windows only, whereas the sort of person who roots and mods phones is quite likely to be a Linux user! Anyways, than you for your help; I’ll try to figure out how to translate this to Heimdall so I can “renovate” my S2 for use in 2015. Can i go back to the samsung stock firmware which is the JB 4.1.2 and still have the partition? If yes can you please tell me how? Please..
do you use custom or stock ROM? is it works for official stock ROM JB 4.1.2 I9100DXLS8? philz recovery file showing error..
that md5 hash is invalid..
can I restore the stock partition i.e 2GB? Thank you so much for this publication. I have now a brand new S2 with 4GB + 10 GB thanks to you whereas I was just about to replace it. I tried your solution several times and each time it looked like as if it didn’t work. “the factory reset from phone settings (Setting > Backup and Reset > Factory reset)”. I was reluctant to do this because I feared to downgrade back to Android version 3 something, and I also thought that I had to start over the partitioning job after the factory reset operation. Finally, just formatting the “USB storage followed by the factory reset” resolved the whole problem without having to restart the partitioning operation. Just a question btw : Will a similar procedure (probably with other pit and image files) work for other Samsung phones with limited memory? yipeeeeeee…………..it works……………..Thank u very much…..i have succesfully increased my internal storage to 4 gb . Thank you very much. It worked for me after resetting my phone to factory settings. Can you make a guide on SGH-T989 to please? I really need to add more room to my device memory. – Philz file is only detected after removing the exe extension! I thought I had to install the exe file so I did and got a lot of adware on my computer. – After pressing start I get a message that md5 hash is invalid (about philz). Thanks a lot man, it worked for my smart. Thanks very much for this, thought I was going to have to get a new phone. I formatted the USB storage after a factory reset and it worked perfectly. When i press vol key down+home+pwr button, I see CUSTOM binary download as NO… When i open the ODIN tool, I dont see the square with any information but blank. Could you guide me through? Thank you for posting this topic. I’m about to re-partition my s2 right now but I wanted to make sure that I can get my data back after I perform a nandbackup and after I perform the re-partition if I restore my nandbackup would all my data be back including apps, pictures, sms, contacts and all or not. I have a Dorimanx v8.43 kernal with a custom ROM aokp_i9100_jb-mr1_milestone running android 4.2.2 and a CWM v6.0.4.7. Can I perform this re-partitioning method on my phone. I also can dual boot so can I do the re-partitioning on the 2nd rom and leave the first ROM unharmed. Thanks Saurabh, everything worked fine, just following your instructions step by step! In my case, the factory reset was requested at the end, in order to see the actual new sizes of the “Device memory” and “USB memory”. Btw, not a big deal. For those using Windows7 to perform this procedure, I would like to report you that after you have put your smartphone in “Download mode” and connected it to your computer via USB cable, you may have to wait until Windows automatically detects, downloads and installs some drivers (usually through the Windows Update). In my case, until this step has not been completed, ODIN wasn’t detecting my phone, though it was connected and in “download mode”. As soon Windows have completed the drivers installation, I got eventually the “yellow box” in ODIN and I’ve performed the “resizing” operation successfully. 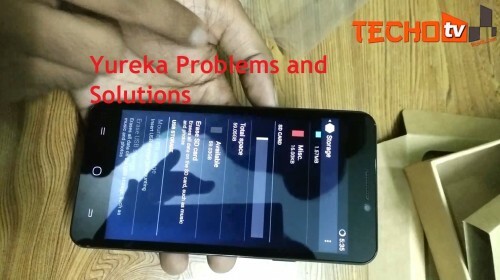 hi Saurabh , is there a similar software for the similar problem but for a an unsimilar model.. samsung galaxy note 1? 1. Wld I have to reinstal the apps again after the formating? 2. My device memory available is 215MB but USB storage availability is 3.15GB, Which pit GB should I use? Can I know if the storage released same with original ROM ? or still storage under USB ( maybe with slow speed ? ) thanks. I have this same problem with my galaxy s2 HD LTE (SHV-E120K) please help me for this damn partition problem !!!! This guide is not for you.. As mentioned, it is strictly for GT-I9100 model. Understand it is strictly for GT-I9100 model but does it work for GT-I9100G. Tried it but unsuccessful. Thought it would be good to check with you again. Thanks. Connect your phone to computer. You’ll see one of the rectangular boxes in ODIN turned yellow indicating that the program has detected your phone. I did so, and also the two next step , I hit the ‘start’ button and messages were seen in the message box but after that – nothing happened. Hi, is it necessary to use this Philz CWM Recovery file, when I have different CWM? 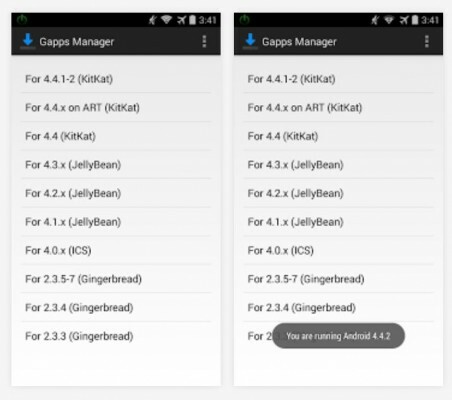 I use CyanogenMod 12.1 with Android 5.1.1. I did as you described. I got the rectangular boxes in ODIN turne yellow etc, but when I hit the start button messegaes appeared in the message box – but after that nothing happend. No PASSED message appeared. Hi Saurabh, I just succesfully increased app memory to 4GB, but internal memory is not showing… I tried to do factory reset from setting and also from CWM, but still nothing… What should I do now? I partitioned the internal memory to 6Gb and it was working fine. Later on I realized, I need only 4Gb, tried to repartition again with ODIN. I have messed up the system and it is asking to “Enter password to use the encrypted storage device”. I cannot do anything as this screen is the only one appearing after booting up every time. Is phone required rooting for this step. This post started 1.5 yrs yrs back. How and why did I not check this for so long. God knows .. But great thanks man .. Tried it end to end and finally I got everything in place and now I have a proper phone to use. You saved a lot of us the pain of buying a new phone. I never wanted to part away from my S2. Thank you very very much for your posting! I am not a great IT-man, but It worked!! My internal memory was about full, so I could not install an update of Whatsapp, which would result in being cut off from Whatsapp (and I use it a lot). I did need a factory reset, and it took me a lot of time to have all my settings back, but this had the advantage that some of the apps worked better than before), but now I have a comfortable 6 gb internal memory, and can install and update without worries! So thanks again!!! I will spread this to everyone who has the same problem. Hi, Thank You very very much for this!! It works for SGS2 Stock ROM JB I9100DXLS8. need to format & factory reset before storage capacity is changed. hi how did you do that? Hello, can you give me the oficiall stock pit to backup my i9100 in 2G internal..
hi, thank you very much !!! nice tutorial, all simple, clear. I use 6 Gb PIT. Since today no problems with low space in internal storage. May I ask you, what ROM do you use in Samsung Galaxy S2. I use stock, but i think about NEAT ROM? Do you know it? Thanx a lot buddy, it helped me solve the low memory issue. hi saurabh!. can iget pit files for GT-I9100G to expand the partition? Will the procedure work with S2 SGH-I777? Also do I have to be Root to run the steps? I am not able to download PhilZ-cwm6-XWLSZ-OJC-5.15.9.tar.md5 file. The link you have given in description to download PhilZ-cwm6-XWLSZ-OJC-5.15.9.tar.md5 is not working. Can you please provide working link to download PhilZ-cwm6-XWLSZ-OJC-5.15.9.tar.md5 ? Can you send me the following file to my email (kapuveera@yahoo.co.in) as I am not able to download it please? Thanks!! pls my s6 has the same problem, what do i do? Does the phone need to be rooted for this to work? And will it work if the phone is still running the Custom ROM? Hi Saurabh… I did what you did on the video but my phone didn’t start any more… only Samsung Galaxy S2 and it turn off…. Can you tell me what to do pls? After applying the above mentioned steps, lot of static noise comes when i try to use camera of my galaxy S2. has anybody faced this problem? If yes, what can be done to overcome this problem? Can you share me any different link. failed to start. my device storage change and usb storage unknown,i try to format, factory reset still unknown. how to fix it? I’m using cm12.1 and i used your process. Now my phone showing only 6.00GB. So where is my other memory. Linkd2d showing unmounted SDcard. What to do? Need your help please give me solution. – Odin found the Philz and pit files but on “Start”, shows “All threads completed, succeed 0/ failed 0” then it stops. This worked ! I’m delighted to be able to keep my S2. Found it easier to download the Philz file via an android tablet, then followed the tutorial. Just increased partition size to 6GB following your precise instructions. Had to factory reset. Also wiped cache & dalvik cache, then restored latest nandroid backup. Worked perfectly. Thanks. Hello, I would like to get back to the stock storage and wanted to download the file but the file does not exist anymore. Can you please update the link, please? Thank you. It seemed to work after a few attempts but now my phone will not start normally: it freezes at the Samsung and model type number display. thanks a lot.all users attention.you need to do factory reset after theese steps. ! Well boy, you can not put instructions without important steps and then to update after lots of people crashes their phones.. Next time think twice, as this is violating.. I have trouble with PhilZ.cwm6.XWLSZ.OJC.5.15.9 installer can’t install properly. The installer was interrupted before Application could be installed. You need to restart the installer to try again. Can you send me at my email properly installer or some advice. It worked! Just wanted to post a reply in support of this thread. I am not a tech or a tech illiterate person. I can only list what my experience was in case it helps others or sways a decision to try this. 1. My phone is a Samsung S2 GT-I9100 from T-mobile (that shows its age!). It’s probably 4-5 years old and the hardware is fine. As apps and their demands get bigger my phone was almost unable to function due to out of memory errors. 3. My phone was NOT rooted and the bootloader was NOT unlocked. (I have read reference to these in other posts about increasing memory. And various people seem to have asked about these things in questions above). 4. I Backed up my phone using Kies, but then uninstalled the Kies application as I have read reference to is causing connection errors when running Odin. 5. Charge your phone fully (just to be safe). 6. Follow the steps in the original post. You may have to wait for the drivers to install when connecting and again when re-installing Kies. 7. The larger memory was NOT showing initially – follow the factory reset as instructed. This was all I needed for the new memory partition setup to be successful. 8. Re-install Kies and restore your phone – I still had to sign in to accounts again. Configure settings and re-install apps manually. The phone did initially keep resetting during the heavy install of apps – but after a few attempts all apps were installed. 9. The phone is now running better than it has in years. All thanks to this post. Does this work for any android plz reply. Thank you!! It appears to have worked!! Now showing 5.91 GB in device memory with 5.47 available. I did have to reformat the USB portion and so a factory reset but I can deal with reinstalling my apps. I know u said it but there is a way u can do that with the sgh-t989 model please!! Hi,Saurabh, I recently rooted my SG S2 (4.1.2) with Siyah Root Kernel and Odin 3.07, so now I have SuperSU and CWM v3.15. What do I need to do to change the memory partitions? Can I just flash the pit files? Please, help me. Perfect, wish I found this several years ago. New life for my S2 !! my phone restart and can’t on properly. just show samsung galaxy s2 only. how can fix this problem..
i have started odin mode but 3 hrs passed already still showing downloading, how many hours need to complete this programe? I just wanted to say a big thank you for this guide. I increased my app size to 6 gigs, so so much better. For those who had issues with the USB storage going down. I had the same issue (I had 0 gigs) I just factory reset it and it works as suggested above. It worked for me without any broblems, I just go step-by-step by your guide. For me, I needed to to FACTORY RESET after process, because normar restoring showed only 2GB + 8GB of internal storage. After factory reset I have 6+8 and it is working 100%. I tried using odin 1.85. the column for pda can put the files cwm in it but the pit column can not put the files either of the gb. So the odin cannot execute the re partition of the device memory. Hi saurabh, I have an android 6.0.1 flash on my s2. I am using Odin 1.85 but when I pressed the pit button and point either the 4gb 6gb and so on the pit file does not appear on the pit box. its working. thanks. i done it step by step. now my s2 internal storage is 5.91 gb. first i scared to do this. but i done it. when the phone is power on i went to settings. it shows 1.97 gb and i was scared. but after factory reset the phone it shows 5.91 gb. In my s2 logo screen there is triangle warning. how i remove this triangle? help me. Is there anywhere at all to download that CWM file that actually works instead of just infecting my computer with malware? Trying to download the file PhilZ-cwm6-XWLSZ-OJC-5.15.9.tar.md5, but server seems not to work…how do I get hold of the file. Please advise.